All images © Brian Brown/Beer in Big D.
Finishing the final leg of a journey that's lasted nearly six years, Hemisphere Brewing Co. has opened its doors in Rockwall. Indeed, if ever there was a brewery that ought to have a beer called Murphy's Law, Hemisphere would be the one. All startups face obstacles, but it seems as if founders Ruben Garcia and Brandon Mullins have met with more than their fair share since kicking off the project in 2011. "Anything that could go wrong, did go wrong," says Garcia. In the last year alone, they've dealt with code issues related to ramps and doors, not to mention problems with getting the gas line hooked up. Then, on top of all that, Mullins ended up landing in the hospital right as Hemisphere was poised to announce its long-awaited opening. experimentation when it comes to what Hemisphere has to offer (© Brian Brown/Beer in Big D). Thankfully, though, perseverance has finally paid off. And to hear Garcia tell it, it's rewarding just to be able to get to the point where he and Mullins can say "We're open!" "There a lot of things we want to do with the brewery," explains Garcia. 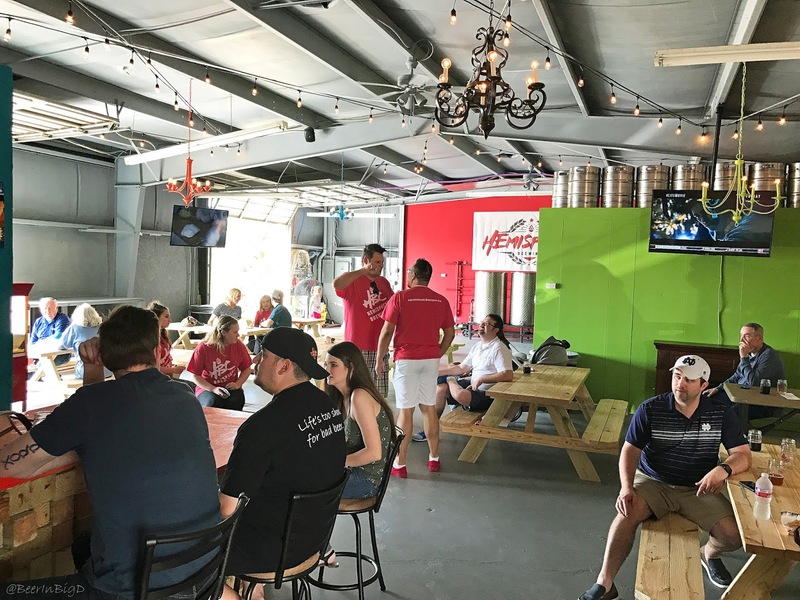 "For now, though, we really just want to enjoy being open here in Rockwall. Eventually, we'll work on getting our beer out to a wider audience, but we'd like to get settled in first while building a following with the local community." 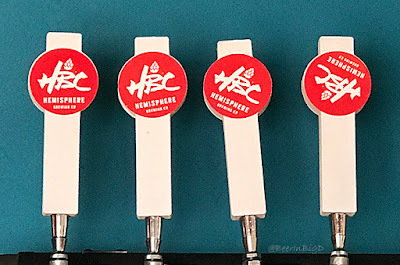 As for the types of beer Hemisphere will be serving, the brewery's debut weekend featured five different beers. Early returns suggest Straight Dope IPA will be the crowd-pleaser, but my favorite beer on the board was Hemisphere Grisette (the coffee porter was a close second). No matter which you choose, though, this first run of beers suggests that balanced, approachable brews will be the order of the day. Shiver Blueberry American Wheat (5.86% ABV, 17.6 IBU): An easy-drinking wheat beer with a hint of blueberry sweetness and a lightly tart finish. Straight Dope IPA (6.46% ABV, 73 IBU): A hazy IPA, with upfront notes of citrus and tropical fruit that's backed by a moderate bitterness. 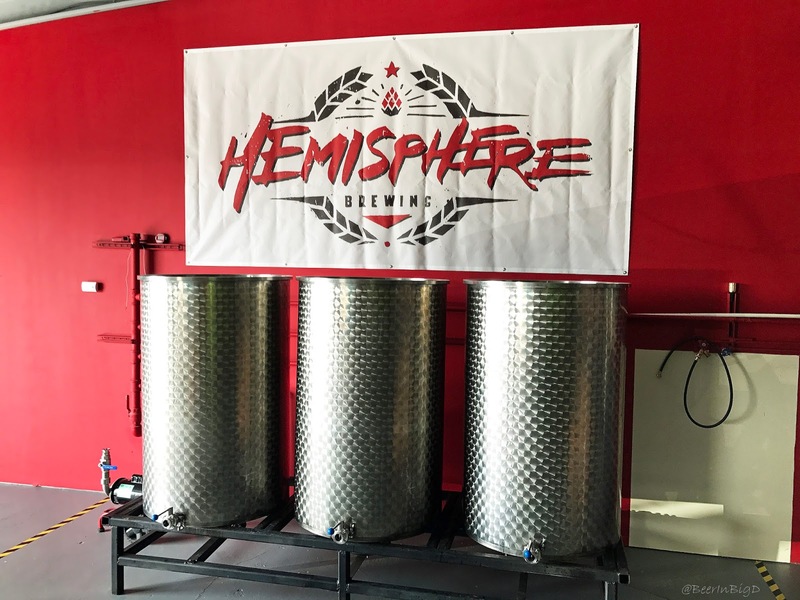 Hemisphere Grisette (5.56% ABV, 15.3 IBU): Complex and crushable, this light-bodied beer is a little tart and a little funky, with elements of citrus and bread yeast rounding out the flavor. Superfleek Coffee Porter (7.22% ABV, 46.3 IBU): Distinctive roast and an earthy underbelly form the base of this coffee-forward beer, which finishes smooth with little bitterness thanks to the use of cold-brewed coffee. Gnarlacious English Pale Ale (6.46% ABV, 30.5 IBU): A dry, estery and earthy English-style pale. Giant Jenga offering entertainment options (© Brian Brown/Beer in Big D). Of course, other beers are in the works, but what form they'll take remains to be seen. According to Garcia, the partners are working from a list of over 90 different recipes. What ultimately gets chosen, though, will depend on a variety of factors. Naturally, consumer preference will play a part, but so will a desire to offer styles and/or flavor combinations that are currently missing in the local marketplace (ergo, offering up a style like the grisette). Regardless of what styles get brewed, expect Hemisphere to remain draft-only for the time being. Packaged products will follow at some point, but when that happens will probably depend on that whole getting their feet firmly on the ground thing. Either way, a trip to the taproom is currently your best bet if you're looking to try a Hemisphere beer. On that note, taproom hours will occur on Thursdays, Fridays, and Saturdays to start. 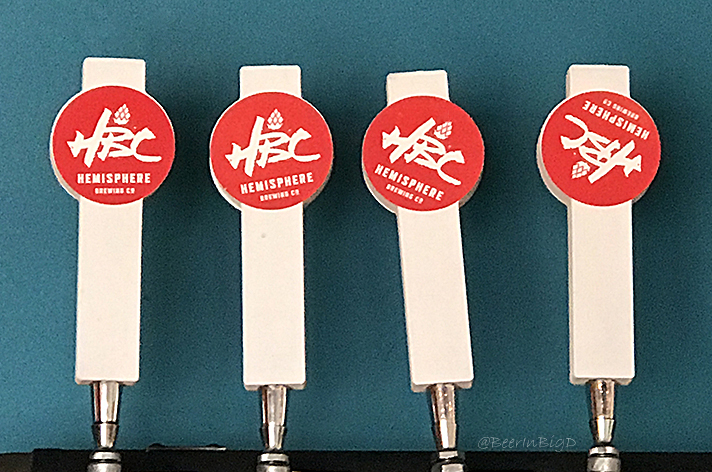 Exact times are still being worked out, so be sure to follow the brewery's social media accounts (Facebook, Twitter) for the most up-to-date information. * Click here for more on the brewery and its six-year journey.